Providing infrastructure status to affordable housing, a long standing demand of the real estate industry will not only bring the cost of financing down but will also open up additional avenues for developers to raise funds. Affordable housing has been re-defined in Budget 2017. 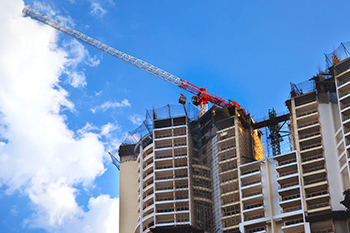 The government has announced infrastructure status to affordable housing to encourage investment in the segment. Infrastructure status for affordable housing will be a good thing for the middle class as it will make homes spacious and cheaper. With surplus liquidity created by demonetisation, the banks have already started reducing their lending rates for housing. Providing infrastructure status to affordable housing, a long standing demand of the real estate industry will not only bring the cost of financing down but will also open up additional avenues for developers to raise funds. Developers can take infrastructure funding from financial institutions at a rate lower than 10% for constructing affordable housing. With borrowing costs going down, developers will in all likelihood pass on the benefits to homebuyers as well. To make this scheme more attractive, government proposed certain changes in the scheme. Instead of built up area of 30 and 60 sq meter, the carpet area of 30 and 60 sq meter will be counted and will offer homebuyers the benefit of owning larger units. The infrastructure status proposal will impact all projects under construction. Now builders will quickly move to comply with the affordability requirements like limiting the size of housing units to 60 sq m carpet area and developing projects within 25 km of the municipal limits of four metro cities. The demand for affordable homes will also increase the extra cash people will have in hand due to proposed 5% deduction of the income tax rate for taxpayers earning less than Rs 5 lakh. Developers will also get five years to complete the project instead of three years at present, out of which maximum time goes into getting approvals. There will also be a structural shift in pricing and not the price cut. The benefits builders will get under this scheme include a profit tax holiday which means that they will not have to pay tax on the profits earned from these projects. Thus more builders will enter this segment. This will ensure that buyers will get more housing options. Cost of capital on affordable housing will come down and affordable housing will have access to long term funding which is critical in the current situation and benefit the customers. The Author, Dharmesh Jain, President, MCHI-CREDAI and CMD, Nirmal lifestyle.